One of my favorite things about homemade hummus (aside from its superior taste to those you buy in the store) is how you can flavor it with just about anything! What began as an intense desire for bagels, cream cheese and lox...ended with this homemade Hummus with Smoked Salmon, Chives and Dill. Reminding me again of one of... "Life's Little Lessons..."
"A satisfying life...is all about improvising." Place chickpeas, lemon juice, tahini, garlic and olive oil in a food processor and pulse to desired consistency. Taste and adjust any ingredient to your preference. Fold in chives and dill. 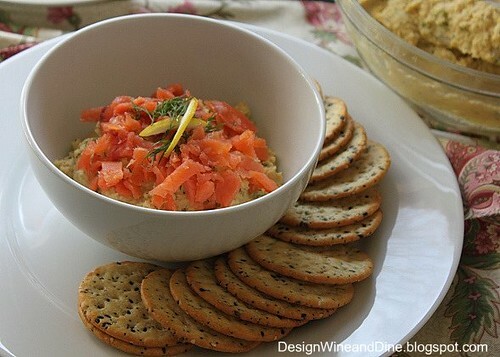 Top with smoked salmon and serve with crackers, crusty bread or pita chips. That hummus does sound wonderful! I know that I would like it. 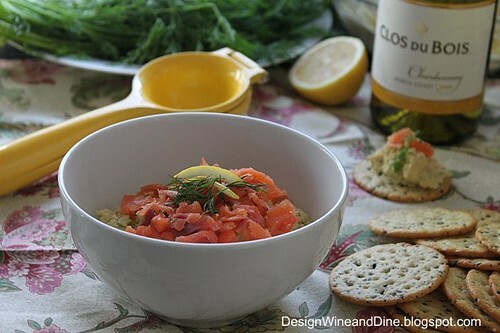 I love smoked salmon and I love chickpeas put them together with the other ingredients and you have it made! Can you believe I've never tried smoked salmon? I must give it a go! 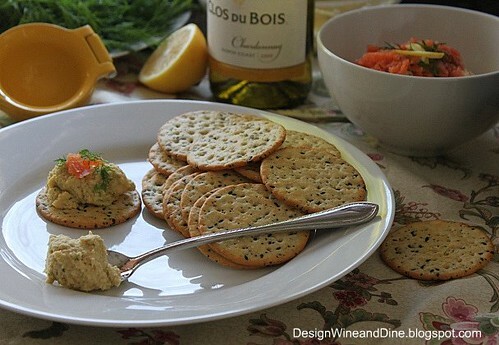 Hummus is so versatile, healthy and delicious.I love he sound of your recipe! I love smoked salmon but I have never tried this combo. You've intrigued me! Looks beautiful. You are the queen of improvising! I love it... this hummus looks wonderful! I love improvisation. And this looks like a great little snack for lunch. I was subjected to kitchen improv at an early age. My grandfather would routinely clean out the fridge, dumping all leftovers and over-aged remains from the hydrator into a pot. I'm tellin' ya---everything went in to that big pot. It would cook and then simmer for hours. It was always delicious. Of course, it didn't look NEAR as good as your doin's! Oh my goodness... Love the flavors you have going on here! And you are SO correct - homemade is always better than store bought. But in a time crunch I've found that adding some good olive oil and ground cumin or coriander or even fresh herbs can improve the store bought variety quite a bit. Thanks for sharing this - it's going on my must makes! oh what a perfect combination of flavors- makes me want to sit outside in with a glass of wine! I love the way you are so creative and use what you have on hand. Your pictures are always so beautiful, too. I've been making hummus since the 80s and your recipe sounds so good.